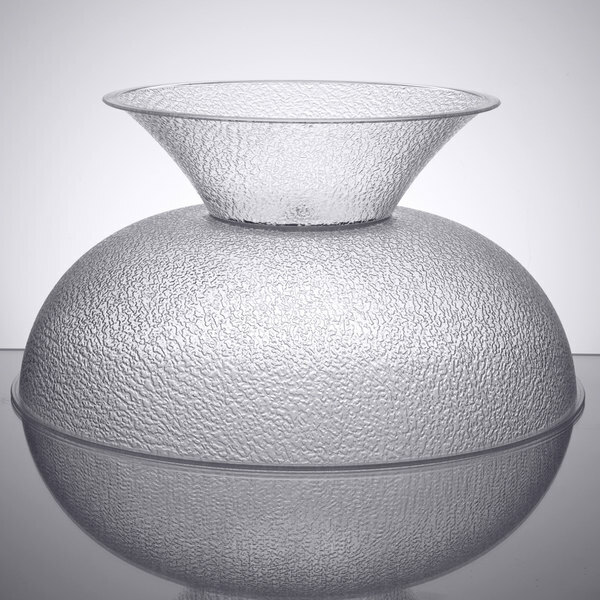 Serve your sparkling punch in style with this Cambro PPB18176 20.25 qt. 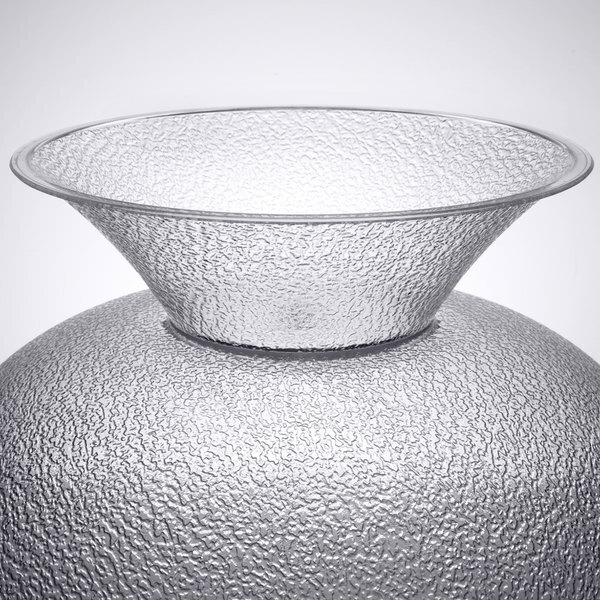 pebbled pedestal punch bowl! Not only does its clear construction allow for fast product identification, it also expertly showcases colorful beverages for an eye-catching appearance. Plus, its pedestal design is great for adding dimension to buffet tables at catered events. 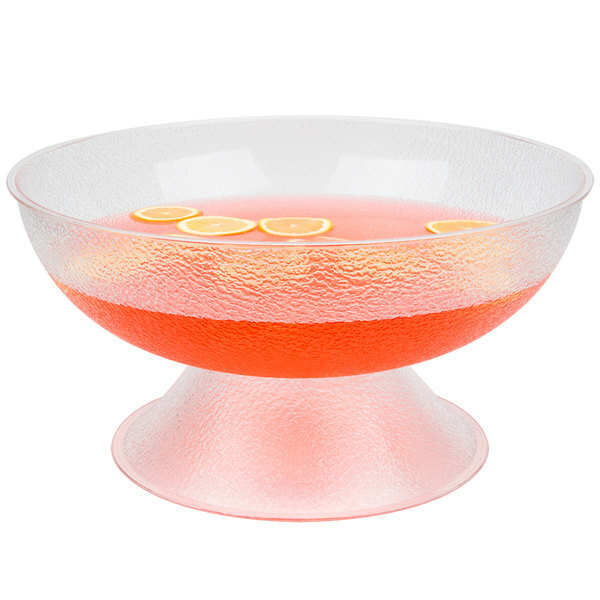 Made of virtually-unbreakable polycarbonate plastic, this punch bowl is built for long-lasting use and can be used in outdoor areas where glass breakage is a concern. While its smooth interior surface makes it easy to clean, its attractive, pebbled exterior helps hide scratches and fingerprints. 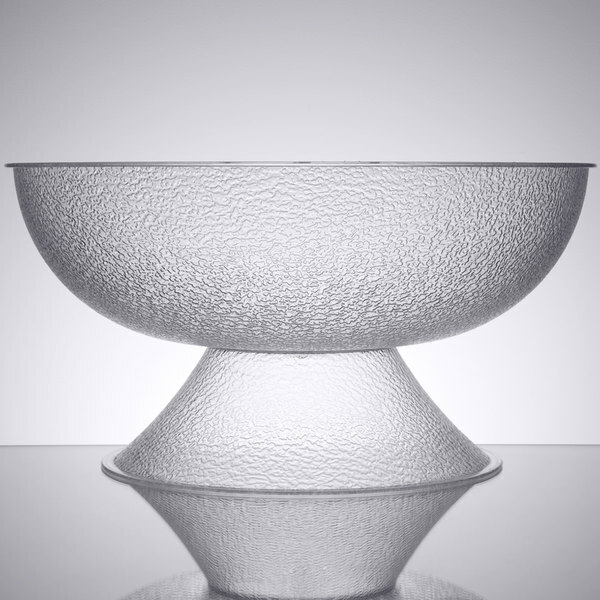 Featuring an ample capacity to minimize refills, this pebbled punch bowl is an ideal addition to any banquet, reception, hotel lobby, or outdoor party. 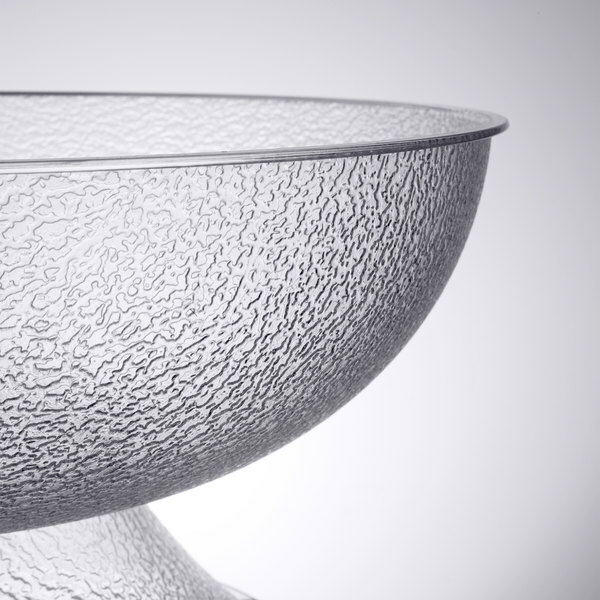 I love this,punch bowl. It was everything I expected but was,afraid to say it out loud. Great punch, great for any use from elegant to family gathering. Awesome and at such a great price! We will be placing more orders for these, such a sophisticated design and sturdy as well. 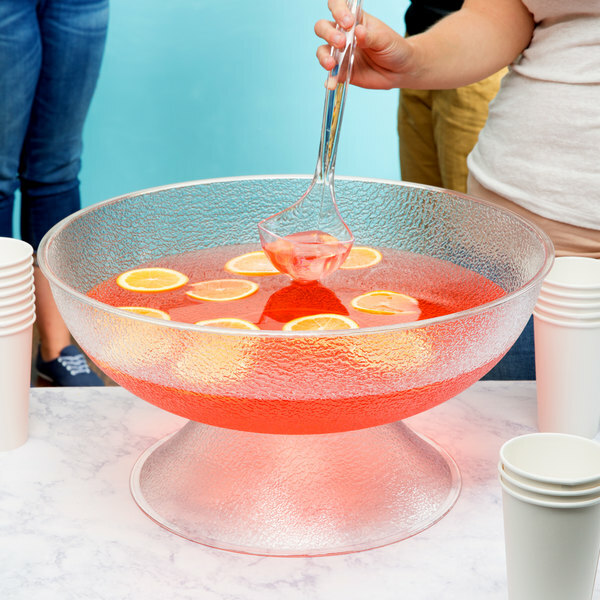 The party was a huge success and we are sure that the pebbled pedestal punch bowl was a great addition. 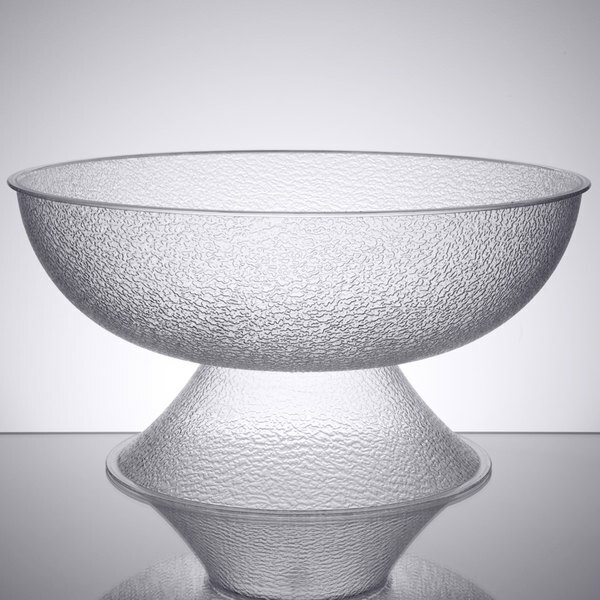 This Cambro pedestal punch bowl is a great item to have for catering a party. It looks good with any setting and it is well made. 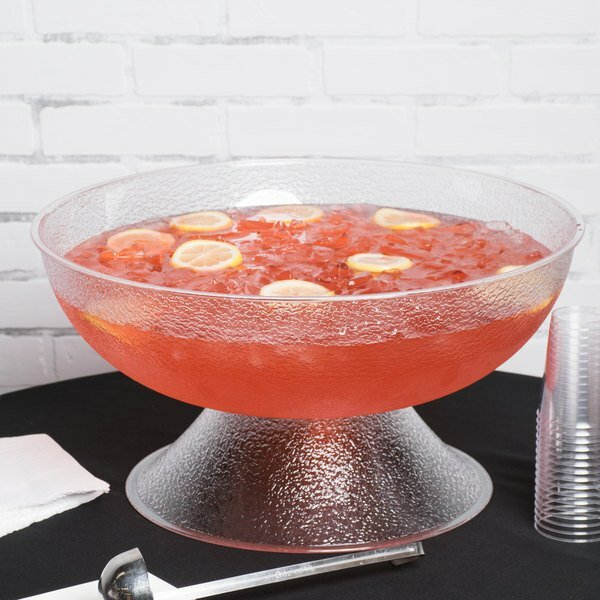 This is an excellent large bowl for serving mixed drinks!! Great for serving different salads as well! Nice for large parties and self serve buffets! Fantastic price!! !